The Fortress Interlocks design team has worked closely with ABB to develop an interlock suitable for use on the SACE Emax circuit breaker. The lock is added to the existing range of switchgear interlocks. 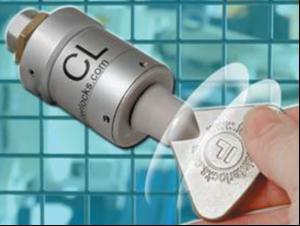 The lock is constructed of zinc alloy with internal contact surfaces made of stainless steel. It is heavy duty and suitable for high frequency applications, tested to a million operations. Fortress Breaker Locks offer in excess of 200,000 non-masterable combinations; although a limited number of masterable locks is available for some applications. The key moves the spindle clockwise with smooth and effortless rotation, and the key is freed at the 12 o'clock for ease of operation. A spring-loaded stainless steel dustcover is available as an extra.